Serve up order at the concessions when you hand out the Ski Goggles Drink Ticket at your Nordic event. 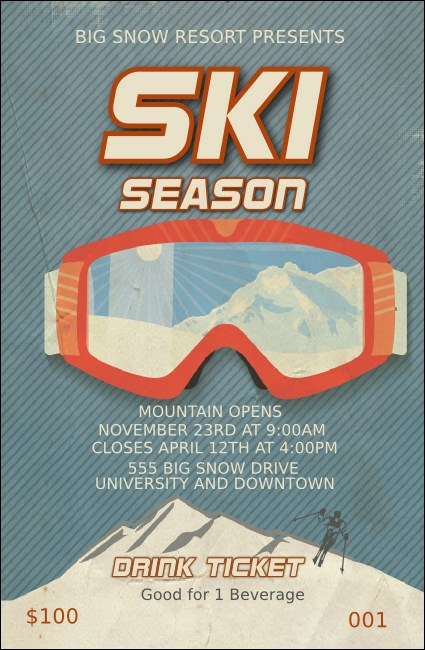 This cool design features blue skies and snowy mountains, with eleven lines for event details. Promote warm drinks like coffee, cocoa, or hot toddies to your appreciative guests!